Home Credit Credit Score Financial Tips What is a good credit score? Do you know what a good credit score is? I am sure most of the people didn't know about it. It’s quite problematic and essential to know that what the best credit score rating is actually. It is also very important to know that right now what is your score and by what means you will improve it. It is basically a three digit number which can maintain or simply break the financial position. It also affects the purchasing ability of a car or a house; hinder you to get the job or credit card or an appropriate premium for insurance purpose. A bad credit score will be very harmful to you in getting loans for a car or for the house .A score which is 650 below, is said to be a score which is sub prime and if you are more below from it then you are marching towards the bad score. When you get higher sore, you will save the money as you get things on lower rates of interest and insurance and even a well paid job. Hence the good credit score is very necessary for everyone. Talking about the good credit score so it is in between 700 & 849. But if you have a slight low score for it, you may get the loan approved, though your qualification for the lowest possible rate should at least 700 points. Having the rating in between 760 & 849, one can get the loan approval easily along with the low rate of interest. Several creditors value the loan approval, if one will have the minimum income or a proof of the job but the current score is 760. But the thing is that to get this high credit is not an easy task if your history is not that much good but don’t worry there are certain ways to turn this dream into reality. Now you know that what is a good score, so your next step will be to bring yourself into this targeted level. If you observed that what are the reason by which you will face the dropping of score, and then go opposite to get it again. It usually happens when your bill payments are late or you don’t pay them as well. In that case, just go and get the copy of a FICO card to know the problem from the stem. It’s quite great to approach the three big agencies and those are, Experian, TransUnion and Equifax as they vary quite slightly. The next step is to call every creditor for disputing their negatively remarked report. In case of a valid debt, you can dispute and hence the creditor will remove it from your report card which will help you to get better credit score again. These recession times need good credit scores for your economic survival. It is more important to know that what is a good credit score and after knowing it to improve your score for reaching a maintained score. But remember one thing that the above discussed credit score range could be fluctuate as it depends on average at the national level. Keep in mind also that this numbering only acts as guidelines for the lenders in order to calculate your scores worth which is based on FICO score ratings. Talking about the line of rules ®ulations in the house, they will decide that do you own a great high level of credit score for the attainment of finance at the terms offered by the company. So if you have a high score then you will only eligible for highest compensations. Try to keep your scores high as it will benefit you a lot in the long run of life. nice blog. all the information needed by a debtor are all found in this great article. 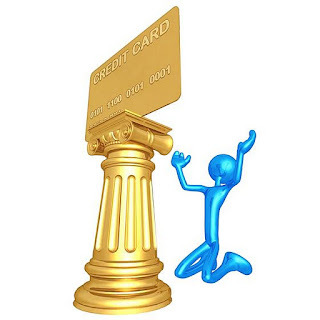 the ways to improve credit score mentioned above can really help debtors like me. Remarkably useful. This post serves a lot of purpose. I believe we can find several tips on raising our finances and our credit score as well. However, it would really be among the hardest thing to do in these days. Guidance is always a must. Thanks for sharing this.